Sacramento!! Soul Asylum is coming to Harlow's Restaurant and Nightclub this Tuesday, July 28th! My favorite combination of alternative and rock are coming and Danny Hauger Podcasts with co-host Greg K will be there to review the venue and one of the finest bands going today! You might think first of "Runaway Train", but think again, and think much, much more. Soul Asylum is one of the best examples of a band that can mix heartfelt ballads, cynical sarcasm, and punk / alternative mixes. I celebrate their entire library and am excited to hear more new music from Dave Pirner and the guys, who always give the fans an outstanding performance. I love their blends of acoustic and electric guitars when they intermingle on tracks like "Black Gold" and "Without a Trace". Soul Asylum rocks, and continues to record excellent music for fans to appreciate across genre lines. This podcast samples a few seconds of "Homesick", "By The Way", and "The Juice", some of the dynamic range of the essential rock band Soul Asylum. All that, and in Sacramento's own Harlows. Do not miss out on one of my five favorite bands of all time, and one of the best shows Sacramento will house in 2015. Make your summer memorable with Soul Asylum this year! Greg and myself will be reviewing the venue, sound, menu, and experience of Harlow', come out and meet us at the show! Order your tickets now for Will Call pick-up online, or by phone, or stop by and enjoy Harlow's goodness any day of the week! See you at the Soul Asylum show on Tuesday! Follow me @DannyHauger on Twitter! Thank you Gary Young for lending your amazing vocals to this performance of "I Want You". You can also hear this song on YouTube. I talked about the origins of the song in today's podcast as well for background on the origins and how this recording came to be. Not bad for one take and an hour recording! Gary's version is still my favorite of this song. Gary even threw some trumpet lines in to accentuate the tonal center. That was a first. This beautiful ballad is a heartfelt tribute to that special someone, not just in my life, but in yours. Its a tender acoustic melody that I brought to life and loved instantly. I hope you enjoy this song and will share it with someone you care about. 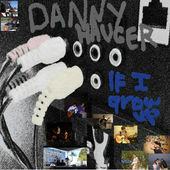 You can download it free on Danny Hauger Podcasts, and I hope you might help support my music as well. Support me on Amazon! Yes, they are linked. Amy Schumer managed to market a crude and vulgar comedy that exceeds expectations in making a social critique about maturing and coming of age in a touching and credible film performance. WWE Battleground goes live in a few hours, showing huge athletes that remember miles of dialogue each week with no cue cards and push the boundaries of sports, entertainment, and theater, and I am trying to encompass all of this while wrapping a comprehensive and dynamic classroom environment to teach Social Studies. Subscribe and play today's podcast to find out how... and get a free download of my song "I Want You" on our next episode. Thanks for listening everybody! And now back to the music! Follow me @DannyHauger and @DHXmusic on Twitter. "Slow Dance" Unplugged (mp3) by Danny Hauger - free download. I went into the vaults this week and dug out an exclusive track, the unplugged studio version of "Slow Dance". This version has a rare harmonica and guitar mix from my former studio in Southern California. This is one of my all-time favorite original songs, and I love the emotion it brings back feelings of wanting to ask that special someone to dance back in your school days. I feel transported when I hear it, and I hope you will enjoy it! You can support my music by buying the studio version of "Slow Dance" on iTunes and Amazon! The "Danny Hauger" sound is a combination of alternative, modern rock, and acoustic singer/songwriter material inspired by Guster, Oasis, Nada Surf, and the Gin Blossoms. I hope people around the world have enjoyed the 2,000+ free downloads of the single here, "Losing Sleep" You can hear me introduce this song by listening to the next episode right above this one. This week I look for the artist behind the theme from Birdman on Nintendo 64's Pilotwings, I take the CSET placement exam, I thank our friends from Toronto, and I dive into introducing this week's free song - "Slow Dance" including a story about the debut of this song at Cinco De Mayo Fest. Have a great week!